Alert! 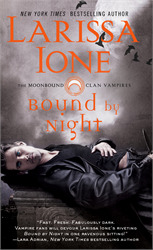 HOT MODEL reads Bound By Night! A Sunday treat! The Bound by Night cover model reads some of Riker’s lines.